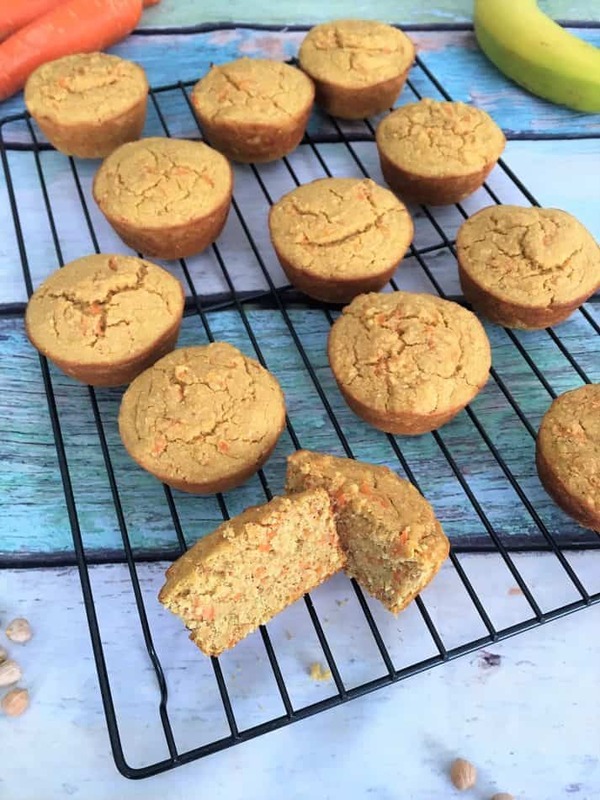 Healthy carrot cake muffins anyone? Yes please. Now you can have your cake and eat it too! 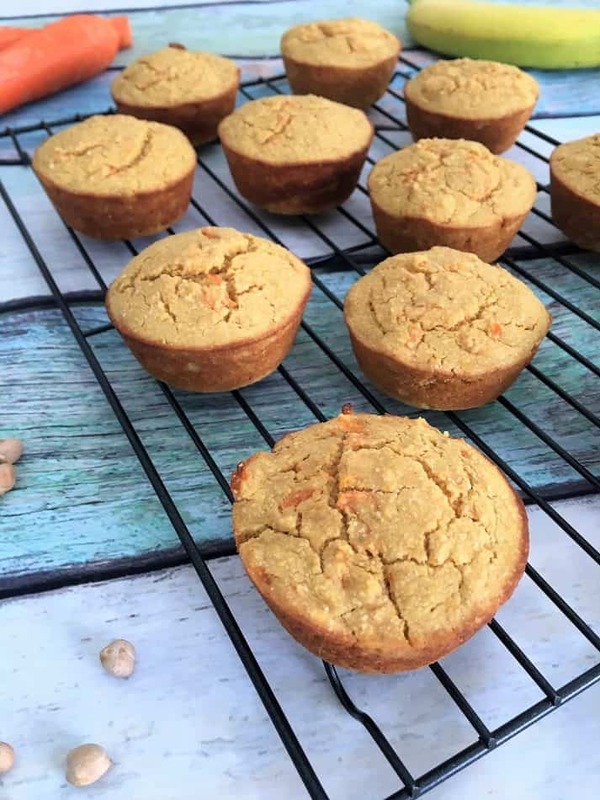 These delicious muffins are completely wholesome, high in protein and made using ‘good for you’ ingredients! They are perfect for breakfast or healthy snacks on the go. 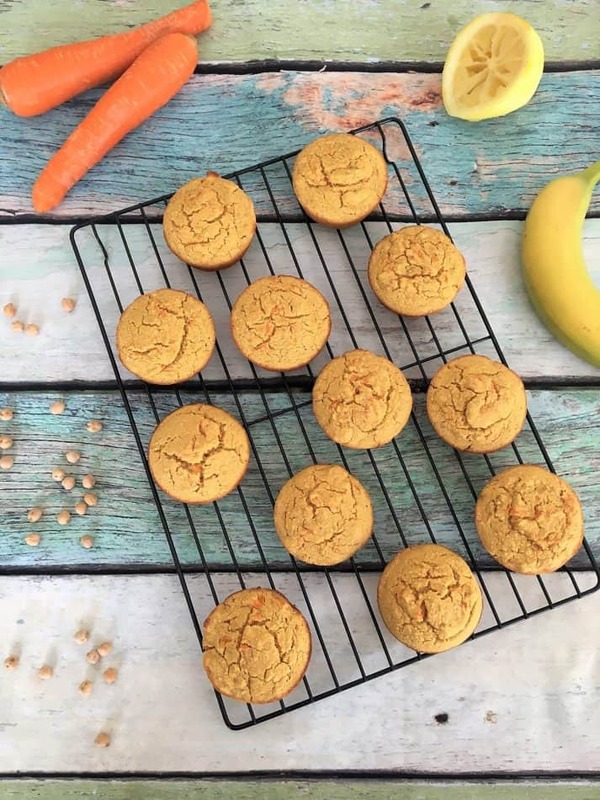 These healthy carrot cake muffins are sweetened with ripe banana, some maple syrup, and have hints of lemony flavour in every bite. They also happen to be vegan, gluten free, and oil free! These muffins are perfectly suitable for all eating preferences! 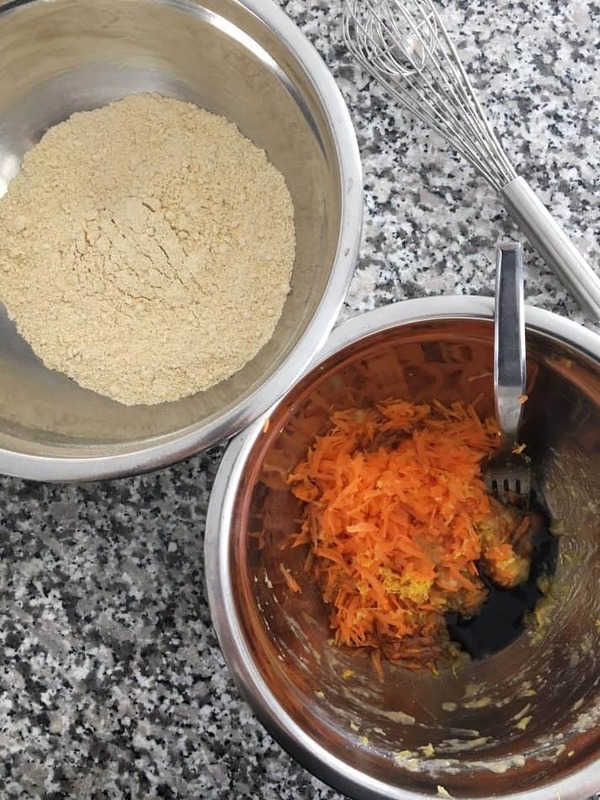 How do you make healthy carrot cake muffins? Quite simply! First whisk together your dry ingredients in one bowl. Then combine and mix your wet ingredients in another bowl. Then toss the tray into your preheated oven and bake! Pretty simple. Make these delicious muffins for a healthy make ahead breakfast or easy snack. These carrot cake muffins will also make a great dessert option for Easter, or any other occasion. You won’t feel guilty over indulging in this recipe with its healthy, wholesome ingredients. Need to make these nut free? No problem! Simply substitute the almond milk for unsweetened soy milk. 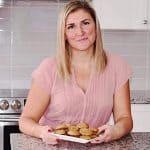 Don’t have garbanzo bean flour on hand? Grind dry chickpeas in a high powered blender into a flour consistency. Or you may sub for oat flour, or even all purpose flour if you’re not avoiding gluten. Want more healthy recipes you can enjoy for both breakfast or dessert? 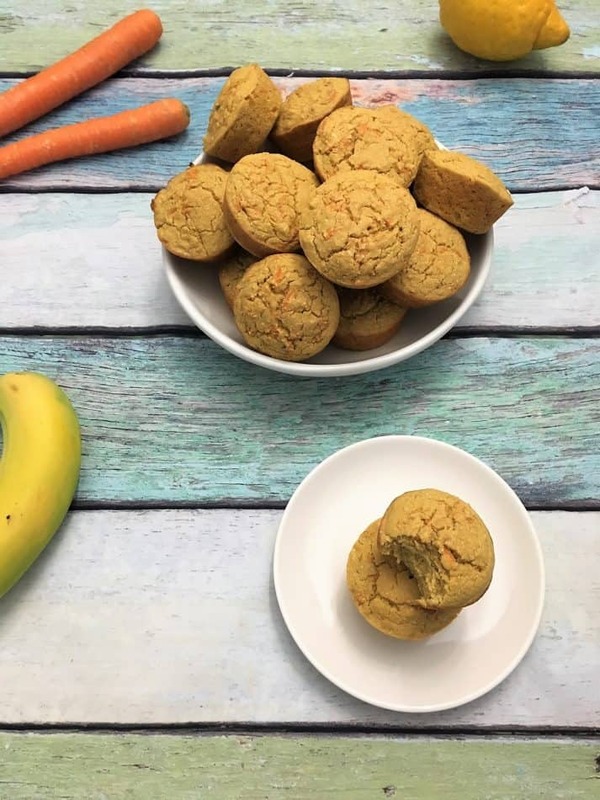 Healthy carrot cake muffins are a delicious treat made using wholesome ingredients and without any refined sugars. Perfect for breakfast or dessert! 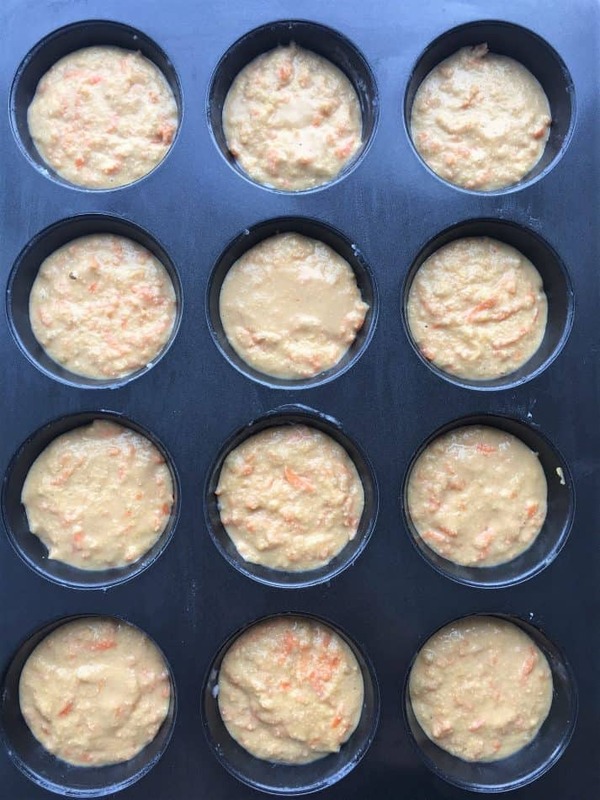 Preheat the oven to 375 degrees F and line a muffin tray with 12 muffin cups, or grease. Add your dry ingredients in a large bowl and whisk to combine. Combine your wet ingredients in another bowl and mix well. Then add the wet ingredients to the dry and mix until combined. Bake for 16-18 minutes, or until a toothpick inserted in the middle comes out clean. Let cool for a few minutes at room temperature, and enjoy warm. Store leftovers in an airtight container. great alternative to carrot cake. i am loving this idea. perfect for Easter too! 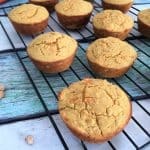 Love these bite size muffins; perfect for a snack on the go, or a midday treat!